Executive Board of DAB is composed of three members, each who are: Governor, First and Second Deputy Governors. The Executive Board is responsible for all matters concerning the administration and operations of DAB. H.E Khalil Sediq attained vote of confidence on 8 July 2015 from Wolesi Jirga as Governor of Da Afghanistan Bank. Mr. Khalil Sediq has completed his primary school in Chahar Asyab district, Kabul and secondary education in Habibia High school. After completion of high school, he joined Economics faculty of Kabul University and obtained his bachelor degree in macroeconomic in 1970. Following his graduation from university, he started to work as an employee in Da Afghanistan Bank and served in different sections of Da Afghanistan Bank. 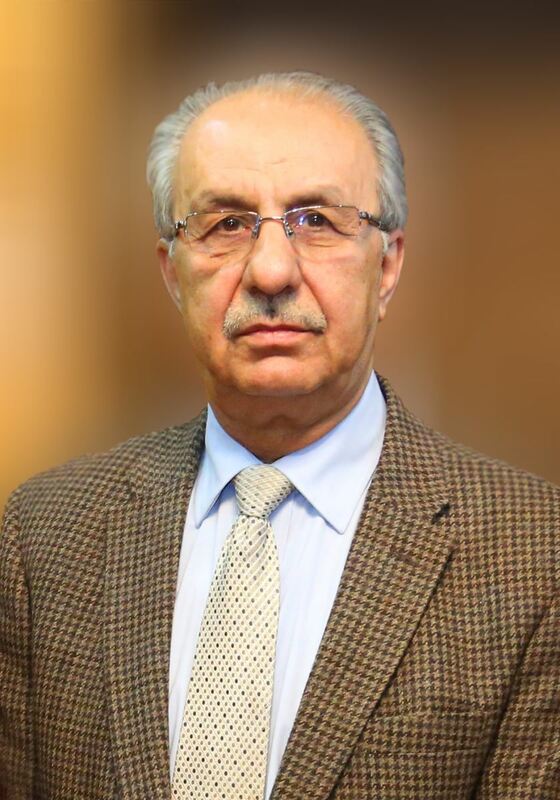 In 1980, Mr. Sediq has worked as director general of foreign trade department and then appointed as director general of research department in 1981. He has headed the money and credit committee of central bank for nearly five years alongside other duties. Mr. Sediq has worked closely with IMF advisors in Research department between 1971 and 1981. In 1982, he was appointed as first deputy of DAB based on presidential decree and served for 4 consecutive years in this position. In this period, he has actively participated in the IMF and World Bank meetings. From 1986 to 1989, he has worked as advisor to Governor of Da Afghanistan Bank.In 1991, as per presidential decree, Mr. Sediq was appointed as the Governor of DAB, but due to the insecurity and worsening situation in Afghanistan, he moved to the United States of America where he worked in SunTrust Bank of Silver Spring state of Maryland from 2001 to 2006. 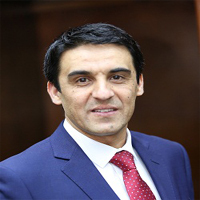 As per the request of shareholders of Afghanistan International Bank (AIB), Mr. Sediq took the responsibility of Chief Executive Officer (CEO) in this bank and remained at this position until 2015. He has also served as Chairman of Afghanistan Bank’s Association (ABA) for more than two years. 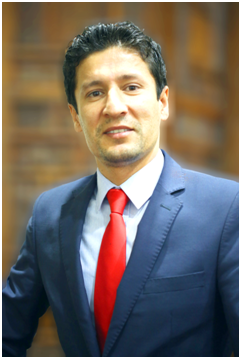 Mr. Sediq has served as board member of Harakat (Afghanistan Investment Climate Facility) from 2009 to May 2015, board member of American Chamber of Commerce in Afghanistan from 2013 to 2014 and board member of AIBF (Afghanistan Institute of Banking and Finance) from 2011 to 2014, and played a significant role in leading these agencies. Mr. Sediq had active participation in a regional seminar on Importing, providing and supplying policies for least developed countries of ESCAP zone held by GATTITC/UNCTAD in Kathmandu, Nepal. He has also followed financial analysis and policy training in the IMF institute in Washington DC in 1979. Mr. Khalil Sediq, a well-experienced and qualified banker with 30 years of work experience in different positions of the banking sector inside and outside Afghanistan, was appointed as Governor of Da Afghanistan Bank after attaining vote of confidence from the Parliament (Wolesi Jirga) and was officially introduced by His Excellency Muhammad Ashraf Ghani President of Islamic Republic of Afghanistan to his post in 13th July 2015. Mr. Wahidullah Nosher has been appointed as First Deputy Governor of Da Afghanistan Bank (DAB) as per the proposal of DAB dated 24.12.2016, and presidential decree no. 3365, dated 27th December 2016. Mr. Nosher is an economist and banker. He pursued his MBA in global banking and finance at University of Birmingham in year 2009, where he was awarded overall distinction. In addition, he holds a bachelor and master degrees in economics from International Islamic University of Pakistan; for his academic excellence, he was awarded gold medals in both in his programs. Mr. Nosher has recently designed and presented Invention Gap Model (IGM) at University Of Oxford, where he depicted the gaps between moving points that can potentially lead to innovations and inventions mapping. Mr. Nosher participated in numerous international trainings offered by World Bank, IMF, WTO, WCO, and other international financial institutions on macroeconomic policies and financial management both in Washington DC and regional HQs. Mr. Nosher has served in various roles in different capacities both inside and outside Afghanistan. He served as Economic Policy Adviser to Minister of Finance, in Ministry of Finance of Afghanistan in year 2008. He also served as Deputy Director General Monetary Policy Department, at Da Afghanistan Bank in 2005. Outside Afghanistan, Mr. Nosher has worked for various financial institutions, including Wall Street London Office as Client Executive Assistant, and Berkeley Credit and Finance as Assistant Manager, in 2013 and 2012 respectively. Mr. Nosher also served as lecturer for business globalization at London School of Arts (LSA) in year 2001. Besides the above mentioned duties and responsibilities, Mr. Nosher has conducted several researches on banking, finance, and over economic environment, some of these research articles are published by reputable institutions, including BBC and Voice of America (VOA). Mr. Muhammad Qaseem Rahimi has obtained his bachelor degree in business administration from Hamdard university of Karachi-Pakistan in 2002 and master degree in banking and finance from Islamic university of Malaysia in 2008. Before joining DAB , Mr. Rahimi worked as chief financial officer in Action Against Hunger organization. Mr. Rahimi made his debut in central bank of Afghanistan in 2004 and has served in different departments of the bank. He was first appointed as financial analyst in market operation department and later on as per demand of the management of the bank, promoted to exchange rate and investment manager. After obtaining masters degree, Mr. Qaseem Rahimi was appointed as deputy director general of financial supervision department where he undertook the crucial roles of supervising the commercial banks in Afghanistan. Subsequently, considering his financial and banking experiences, the executive board of the bank promoted his position to director general in directorate general of supervision department. Mr. Rahimi has also functioned as director general of risk management department of Da Afghanistan Bank for less than a year following which he was appointed as acting comptroller general on 18/02/2013. 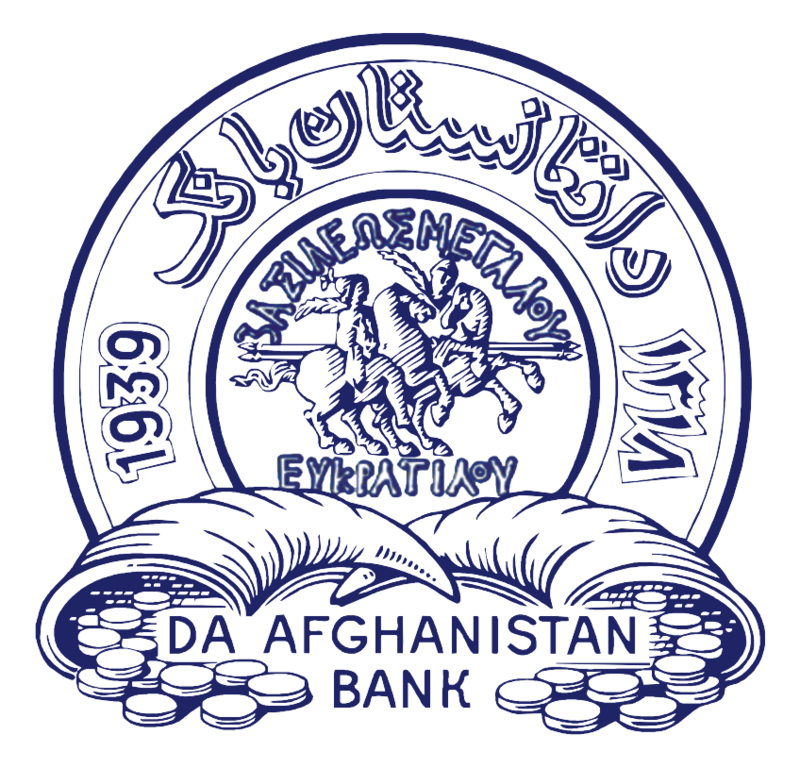 Later on, as per the suggestion of Audit Committee of the Supreme Council of Da Afghanistan Bank, Mr. Rahimi was approved as Comptroller General of Da Afghanistan Bank. Eventually, Mr. Muhammad Qaseem Rahimi is appointed as Second Deputy Governor of Da Afghanistan Bank based on Supreme Council's approval number 39 dated 13/07/2016.